Things started off well on the morning of the 24th, sandwiched between Sunday and Christmas day most people took the day off. As a result not many traffic alerts were published in the morning. But things changed towards afternoon and changed very dramatically in the evening. 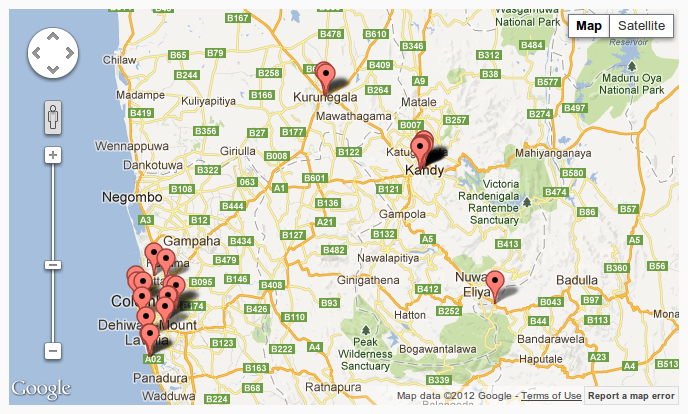 On most days the traffic alerts we publish are from locations in and around Colombo. Not so on the 24th. They were scattered through out several parts of Sri Lanka though we still had a fair number from Colombo. The same was seen on the 23rd when flooding effected several roads in Pollonnaruwa, Vavuniya , Mannar etc.